I have been working with film and photography for over 20 years and specialise in creating engaging, high-quality films and images. Using the most up to date techniques and equipment, and with a team of specialists supporting me, I work with businesses and individuals to produce innovative products to promote, motivate and inspire. My team and I pride ourselves on the quality of our work and the relationships we have with our clients, always keeping their needs and goals at the heart of every project. 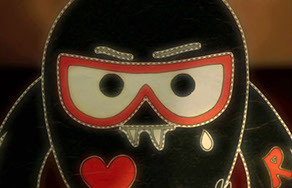 Matt is a fantastically gifted and highly skilled freelance Motion Graphics Artist and Animator. As a key member of the team Matt brings his artistic flair and his keen illustrator’s eye to every project with stunning results. 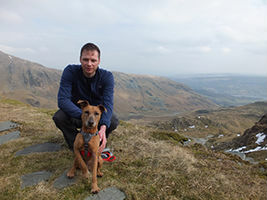 Not only is Matt an absolute joy to work with, he is also highly regarded by our clients. 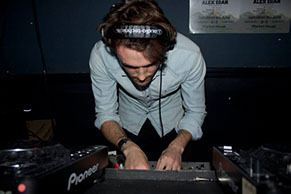 Matt produces his own music and often DJs’ in clubs throughout London, smashing out some seriously good tunes! David has a passion for filmmaking and photography that started at the tender age of five. He taught film and TV production at the University of London for seven years to MA level students. 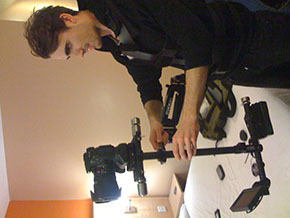 Keen on learning, he has recently completed the advanced Steadicam course in Philadelphia. He enjoys the challenges that directing throws at him and maintains a level head under pressure. When David isn’t researching cutting edge tools for his trade he likes to practice martial arts, kayak, rock climb and talk loads! Ani is one of the most gifted photographers out there. Her imagery is dynamic, engaging and full of sassy chic. Everyone who meets Ani can’t help but fall in love with her energetic character. She likes to get the job done swiftly with dedicated precision while maintaining an infectious sense of humour! 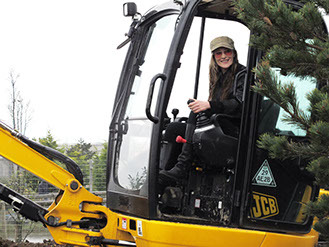 When not making people look gorgeous Ani works out with her pooch Carlito and pursues her interests in power tools, JCB diggers and all things construction related! Percy is an immensely talented and essential member of the team. His areas of expertise include copywriting and editing, developing and implementing social media and digital content strategies, marketing and project management. 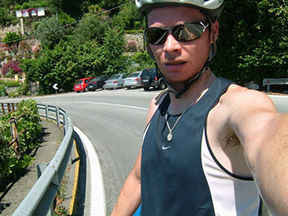 As well as fell running and rock climbing Percy likes to ride his bike around Europe. This rugged outdoor type chap also has a deeply thoughtful side and enjoys writing and creating highly intricate pieces of art. What we see here is the perfect blend of brain, brawn and sensitivity all wrapped up in one heck of a man! 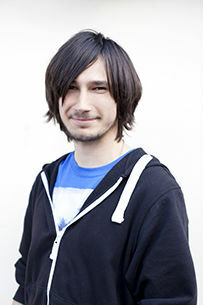 Andy is a talented freelance Graphic Designer and a very knowledgeable programmer. His craft lies in blending creativity with complex code to fantastic effect. 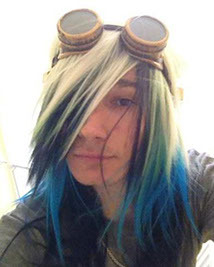 His web design skills help to keep the team’s endeavours and adventures online for all to see. Andy likes to produce tasty electronic music. Having studied drama at uni Andy has arrived in film from in front of the camera! 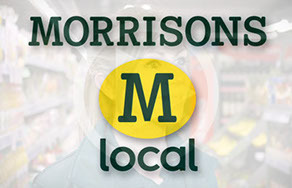 Wishing to expand their M Local convenience stores to 100 branches by the end of the year, Morrisions asked us to create a 4-5min film, for the M Local Jobs website, that would attract candidates to apply for various roles within these new branches. Morrisons have been exceptionally pleased with the finished film and it has been very successful in attracting the right kind of applicants to their business. 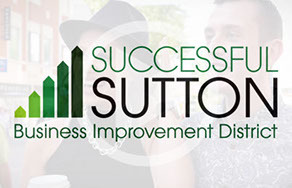 To coincide with the launch of their new website, Successful Sutton BID asked us to create a short film that demonstrated how much people appreciate Sutton and also illustrated the BID’s involvement in the local community, helping to improve the town for everyone to enjoy. Ross Feeney Chief Executive, and his team have received enormous praise from the Sutton Business Community, and they were so thrilled with the film that they decided to feature it on the front page of their website. BT were launching a series of new broadband and phone packages and therefore required many more operatives to man their call centres. 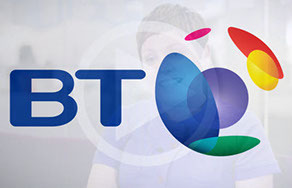 BT asked us to produce a film that would attract candidates to the employment opportunities and at the same time give a feel of the working environment. BT have informed us of just how effective the film has been and the staff who took part in the film expressed how much they enjoyed working with our team. Successful Sutton BID (Business Improvement District) organised a fantastic event over several days during the summer, which took place in Sutton High Street. Part of the event was a free open-air cinema that popped up every evening. The screenings really united the local community in an exciting and thoroughly enjoyable atmosphere. Ross Feeney, Sutton BID Chief Executive, asked us to create a film that documented this special series of events. 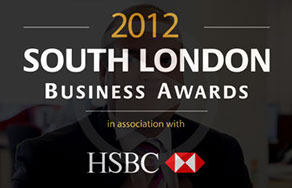 SLB hold an award competition every year with many categories for businesses in South London. We were asked to create a film which would encourage local businesses to get involved and raise awareness of the award scheme. SLB were extremely pleased with the film, which achieved all of their objectives. Manpower commissioned us to create a film for candidates applying for specific roles within RBS call centers. 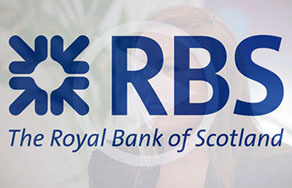 The film clearly describes the roles offered by RBS and the processes involved in becoming a successful employee. The result has been to drastically reduce candidate dropout rates. This has saved Manpower and RBS time and resources and at the same time improved the quality of candidates. Manpower Recruitment approached us to create a short film that profiles just one of the diverse range of clients and candidates that they cater for. The challenge for us as filmmakers was to attract potential candidates to the waste disposal services, and to demonstrate to clients the expertise that the Manpower team provides. 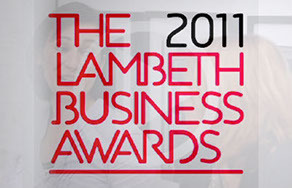 Lambeth were looking to promote their annual business awards scheme to encourage entrants to apply, as well attract sponsorship for future awards. We assisted by developing a film proposal to achieve these goals and to explain the application process. The film has helped to increase applications from local businesses in subsequent years and secure sponsorship to the scheme. 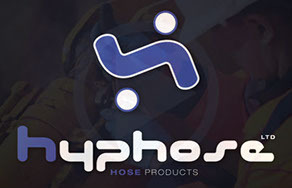 Designed to raise the profile of the Hyphose Company, this film demonstrates their many services and products. Steve Grinter, (Managing Director) and the team are extremely pleased with the response they have had from the film, which has brought new custom and clients to Hyphose. Business Improvement District, Team London Bridge is re-elected every 4 years by the businesses of London Bridge. 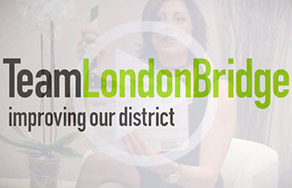 They commissioned us to create a film that would highlight the many exciting elements of the London Bridge area while demonstrating to the local businesses the achievements they have made over their last term. The film played a major roll in their successful re-election. We set out to create a music video that illustrates the evocative music of Fiona's song “Romeo”. We combined live action with hand drawn animated characters that come to life in a fairytale paper theatre hidden in the cupboard of a child's bedroom. An alternative version to the traditional story of Romeo and Juliet is played out in this imaginary world. HD and 4K acquisition and post production equipment. 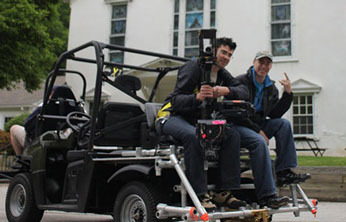 We are a friendly team and are happy to discuss any aspect of your project, no matter how large or small, whether you’re just beginning to think about it or if you are ready to start filming! 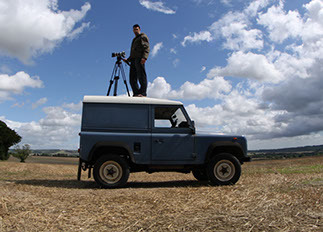 We can also provide quotes and advice for your film, photographic and project needs. Please get in touch and one of the team will be happy to help you. Copyright, David Ferrone 2014. Design by ADA Graphic Design.